Running for weight loss is a favorite activity for a lot of women over 40. This HIIT treadmill workout for beginners is a great way to get started and a great cardio workout for women! Many women over 40 are losing weight learning how to run and how to workout for the first time in their life. I was one of them a few years ago! The mistake a lot of women make is sustaining the same speed for the majority of the workout. Variations in speed is necessary to maximize calorie burn. Variations in speed are possible, no matter the fitness level. While running isn’t usually my first choice of cardio, there are times when I get a little running bug in me. I didn’t even know I could run until I became serious about my health. Running can be a great tool for weight loss for women over 40, even with little experience. This HIIT treadmill workout for beginners – the HIIT stands for High Intensity Interval Training – will be your first step to feeling great again. If you aren’t familiar with HIIT, take a look at The Perfect Workout When Time is Short for more details on HIIT training. HIITs are great for burning calories long after your workout is over. Every day your workouts can move you one step closer towards a healthier lifestyle so that you are able to be as active as you want. Within just a week or two you will be able to feel a difference and each week you will fill stronger and healthier! The key is consistency. Make a commitment to be consistent. This is a great starter program. Your health is important and it’s time to take a little time for yourself. A few minutes for yourself and you will be more prepared to continue taking care of those you love. A complete workout program for weight loss should include 2-3 days of good cardio as well as 4-5 days of strength training. As women over 40, most of us have allowed our muscles to atrophy which decreased metabolism. Increased metabolism means burning more calories for weight loss. Increased muscle tone will prevent injury even as we go about normal day to day activities. For additional tips on effective treadmill workouts, you should check out this NordicTrack post I was featured in with some other treadmill runners. I began my journey to better health at age 41 when I was overweight and so out of shape. Within a year, I was in the best shape of my life through regular workouts. Now, years later, I feel more like 26 than 46. I actively ride my horse in the same style I rode as a teenager, hunter/jumpers. When we decide to lose weight, having a strong reason WHY is vital to success. Without a strong reason WHY, our old habits win each time. Habits of bad nutrition in addition to inactivity. Does anyone REALLY enjoy working out? Not many. It’s more about enjoying the BENEFITS of working out. My point is, we push through the uncomfortable workouts because we like the results. You may never fall in love with working out, I haven’t, but I do love the results. The boost of energy I feel after, along with the sense of accomplishment and strength to do everyday activities even around the house are all worth a few minutes of huffing and puffing. 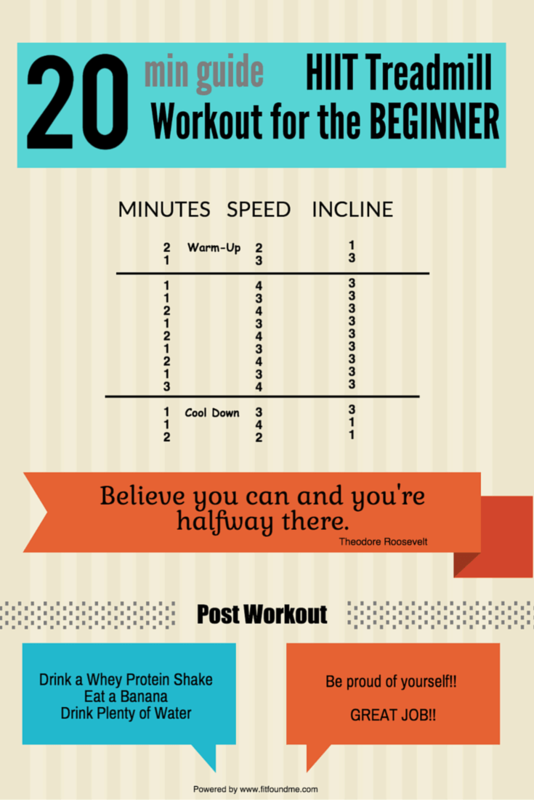 Go give this HIIT treadmill workout for beginners a try and you will feel it too! Need a little one on one help? Not sure why you can’t lose weight? I know what you mean…I have been there, but now I’m on the other side! Let me help you apply what worked for me after age 40! Join my next free weight loss group for daily motivation, tips, and support! HIIT is actually a very useful form of cardio exercise. I believe that the details about HIIT will surely help me in achieving my desired shape. I m still in my twenties but HIIT will help me in maintaining my shape. Thanx a lot for the advice.